12 O'Clock Track / Music 12 O'Clock Track: Starfoxxx's euphoric dance number "Left the Club Tipsy"
The folks behind local multimedia collective FeelTrip have taken a leap into fashion; on Monday they dropped a couple great T-shirts, one of which prominently features an illustrated version of an odd-yet-engrossing photo of a half-naked couple that sits in the window of a storefront right by the Whistler. I dig the shirts, and chances are I'll probably order one when I get my next paycheck. With that in mind it feels like an opportune time to listen to a tune from FeelTrip cofounder David Beltran, aka Starfoxxx. Today's 12 O'Clock Track is Beltran's "Left the Club Tipsy," which I've recently been playing with increasing regularity. Beltran kicks off the tune with a distorted rap sample that he keeps on repeat as he layers on rattling drum patterns and a bevy of clipped sounds that at times feel like they may have been lifted from a video game that takes place in a dreamlike environment; it's a jittery and ebullient dance tune that could easily be looped and played in a club for hours. 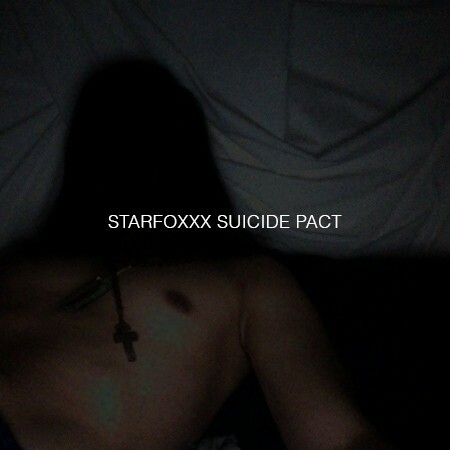 Take a listen below and grab it and the rest of the Starfoxxx Suicide Pact EP from Bandcamp.